Upon picking up a precious My Little Family doll you might find yourself thinking it looks oddly familiar. Is it something in the eyes? The clothes perhaps? The general air of awesomeness? The answer is, all of the above. 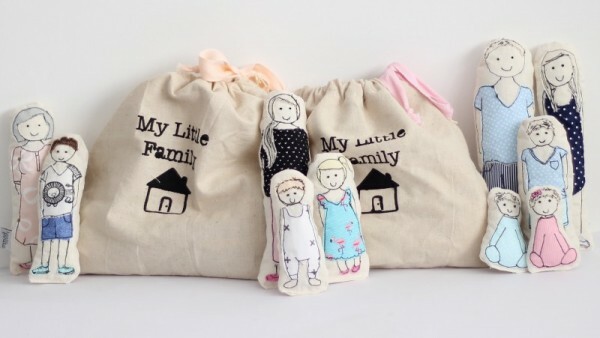 The My Little Family range of figures by Little Pouts are no ordinary collectibles, they are handcrafted replicas of your very own family! 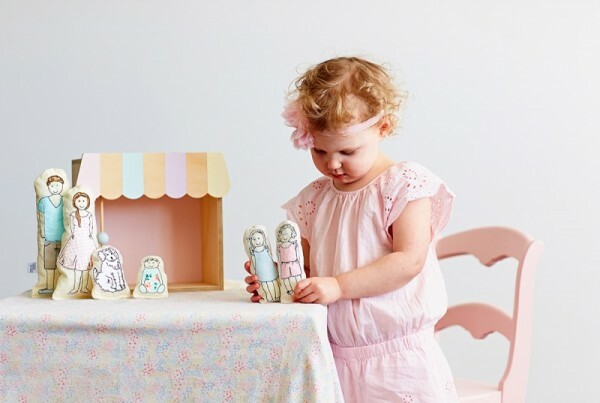 With the option to select from babies and children, adults and even pets, My Little Family dolls by Little Pouts lets you customise each adorable person or animal however you wish. From eye colour, to shoe colour, the talented maker behind My Little Family dolls creates perfectly unique collections that can be cherished, giggled at and played with for years to come. My Little Family dolls are handmade using premium designer materials to ensure a beautifully soft finish that you just want to touch. Each order is delivered in its own screen-printed drawstring bag, making it a stunning and thoughtful gift. My Little Family dolls by Little Pouts range in price from $6.50 for Baby Doll figures up to $20 each for Adult figures. These heartwarming family replicas can be ordered online at Little Pouts.